DiR Clubs’ mission is to improve people’s health and quality of life and offer a club less than 5 minutes away from their home or office. We currently have 21 clubs DiR and are currently finalising new franchises for this year. We employ around 1,000 professionals and boast our own specialist fitness training academy. We want you to join DiR Clubs. We will guide you every step of the way, from looking for partners to fund your project to offering comprehensive training on our client management software, as well as all the general support you need to ensure your franchise is a success. 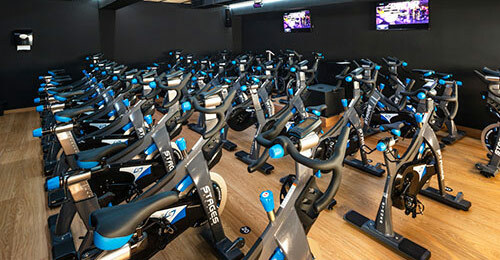 500-800-m2 gyms with cardiovascular equipment, resistance machines and free weights areas with one or more spinning or activity studios, changing rooms, reception and social area with WiFi. Ideal for fitness professionals or sports lovers who want to be self-employed at BDiR fitness or are looking for an investment opportunity. 200 m2, with one or two diaphanous rooms for yoga sessions in addition to changing rooms, reception and social area with WiFi. Studio type of guided activities and dance from 250m2, with one or two open rooms to perform all kinds of directed activities - Zumba, Dmove, BodyPump, HipHop, etc with changing rooms and social area with wifi. Ideal for dance teachers and directed, or anyone who wants to manage their own center as self-employment or as an investment. 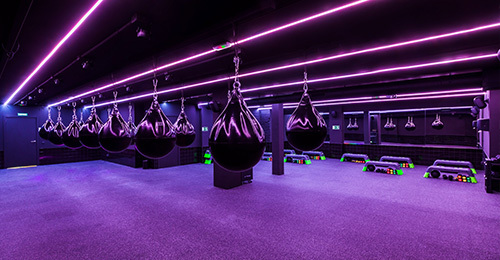 Boutique-style boxing clubs of up to 300 m2 boasting a number of areas for boxing classes and free training, all based on the easy&fun philosophy, as well as changing rooms, reception and social area with WiFi. Ideal for boxing professionals and amateurs who want to turn their passion into their career and run their own boxing club, either on a self-employed basis or as an investment.